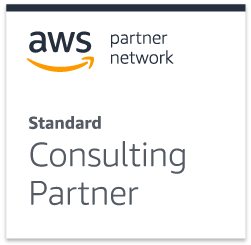 At Symbiotics we’re truly proud of being one of the first appointed AWS Consulting Partners in South Africa. There are a number of reasons why we pursued this opportunity, not least of which is that we see in AWS a number of traits that we live by in our own organization. From the inception of Symbiotics in 1996, we have ensured that we have used our own operation as a testing ground for new services or products. Before going to market, we find ways to use our products so that, as a user, we understand the challenges the product/service needs to overcome. Our proper application of the product/service helps us to continually optimize the final deliverable. This has stood us in good stead over the years. Over the past 5 years, Symbiotics has migrated its entire operation to the cloud as well as hosting the software developed for clients. In a similar vein, Amazon started its life in the cloud, but not as a hosting provider. The organization was its own test case, perfecting the cloud model in its e-commerce environment, feeling the pains and optimizing the offering as it grew. With an intimate understanding of the pains, challenges and infinite possibilities, it was able to improve to a point where it could confidently roll out its product offering to the public. Innovation is key to Symbiotics’s success. 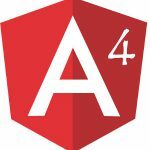 Over the years we have developed processes and tools that help us to significantly reduce coding time to expedite the development process. We have found that to be another of the mutual traits that we have in common with AWS whose pace of innovation is one of their most outstanding features. In addition, at Symbiotics, we chose our development platform based on its merits at the time and took a firm decision to base our business on the platform and not to dilute our strengths and skills by adding other platforms to the mix. As a result, we have a formidable team of programmers, specializing in Java development. Just as we selected Java as our platform of choice in 1998, so we have chosen Amazon Web Services as our hosting partner of choice. We’ve examined all the options currently available and have carefully made our selection to ensure we can continue to deliver on our promise of quality to our clients. In our arsenal, and that of AWS, you will find affordability and credibility. Over the years we have discovered how to identify a good match in terms of what defines a good working relationship. We look for this in our prospects and only pursue clients who fit the bill. This allows us to build a solid relationship with the client, which is essential to the success of the project. With an excellent peer to peer relationship we are assured of an excellent outcome. We offer expertise on tap and we can provide the answers to questions you don’t even know how to ask. Because we have an intimate knowledge of the AWS offering, we develop our software solutions to leverage the platform, giving you so much more than you bargained for. We’re also quick off the starting block having mastered the toolset to fast-track development and implementation.